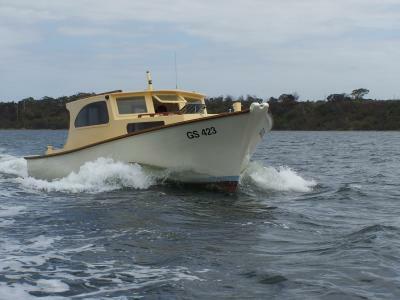 Built by Keith Cayser of Queenscliff, this classic solid work/fishing boat needed a new cabin and deck after many years of neglect. 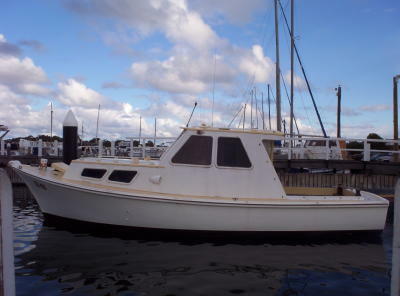 New owner Frank Shine wanted to repower and have the boat fitted out as a stylish cruiser for pottering on the Gippsland Lakes. He liked the cabin lines of the Palm Beach motoryachts so that is the way we went. 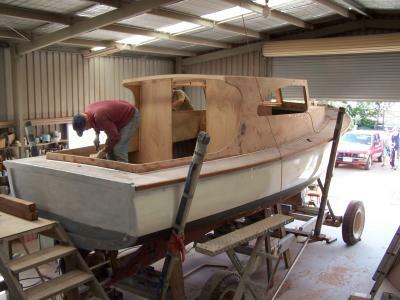 The vessel was gutted so we enjoyed an open canvas on which fitout the new cabin and wheelhouse. "Minerva" is now one solid and powerful cruiser.